This print from LetterSpeak says it all really, yes? I'm having a bit of a love affair with coffee these days. About a year ago, we had to break up because we simply did not get along. Then I was able to switch over to cold brew, which I still love and drink most mornings. It's lower in acidity, which is a very good thing for my body. After my long break from regularly brewed hot coffee, we seem to be getting back together. Thank goodness. 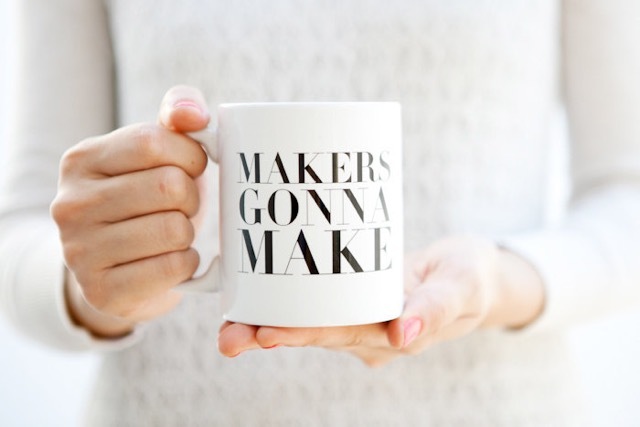 So I thought I'd do an I Heart Makers post that simply celebrates coffee. 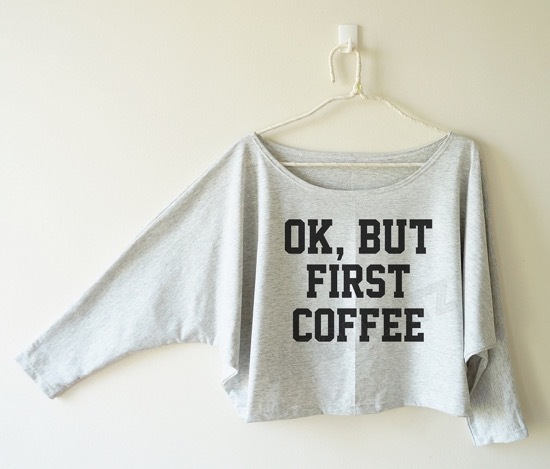 I think "but first coffee" started out as a hashtag on Instagram. (This is something I need to Google.) Wherever it began, it makes me happy every time I see it. This t-shirt from MoodCatz delights me. I love the neckline and the bat sleeves. Also love this mug and this print. Love the colors on this print from Benton Park Prints. 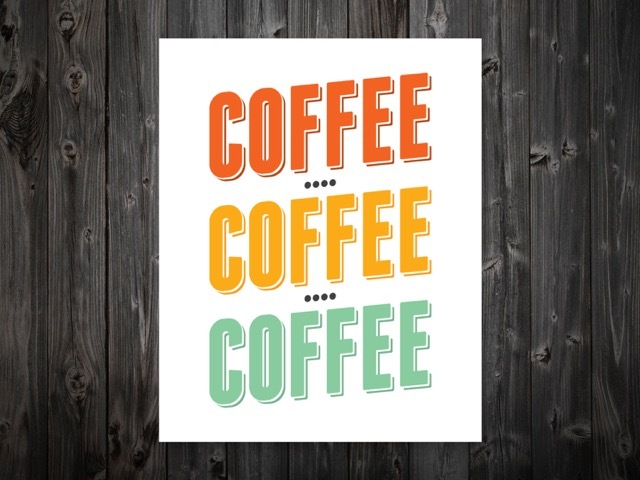 I want to hang it in the coffee cart in my imaginery loft meets studio meets place where I hold workshops. 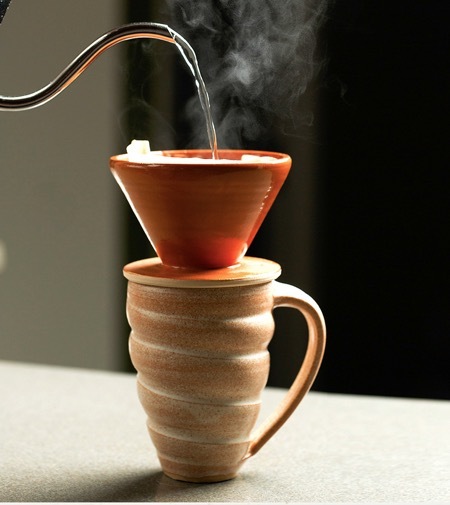 This ceramic pourover cone from Jennifer Creighton is gorgeous and comes in several colors. 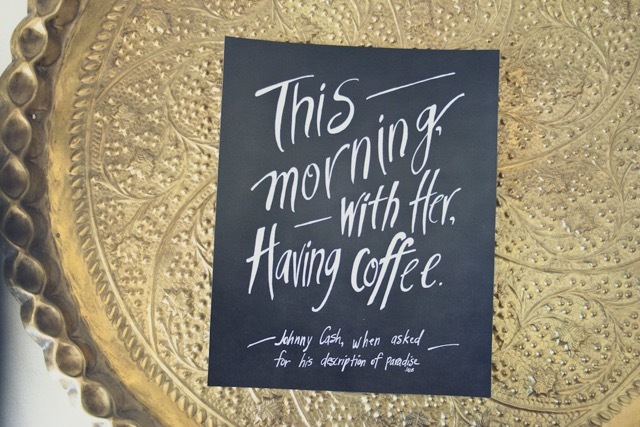 I've probably mentioned a few times that this print of a quote from Johnny Cash by Hey There Design is one of my all-time favorite finds. 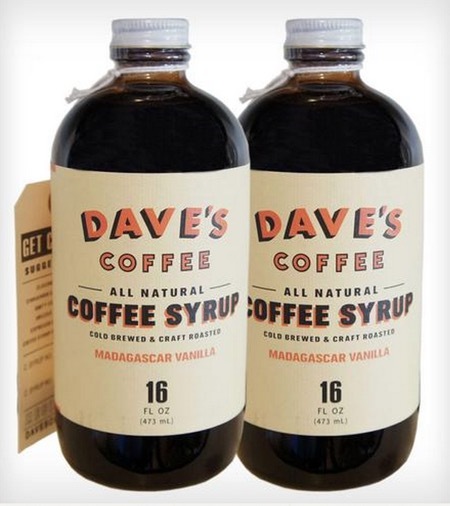 This Madagascar vanilla cold brew coffee syrup from Dave's Coffee sounds so good. To check out other posts in this ongoing series where I celebrate makers and the good things they make and design, head over here.